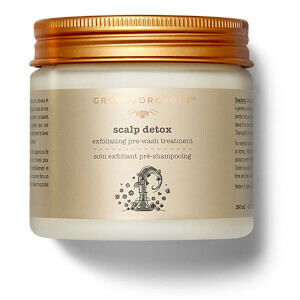 Give your hair a boost with the Grow Gorgeous Back Into the Roots 10 Minute Stimulating Scalp Masque. Particularly ideal for fine, flat hair that looks limp and lifeless, the ultra-stimulating, cooling masque contains an expert blend of burdock root, hyaluronic acid, vitamins and caffeine to improve circulation and provide lift at the roots. 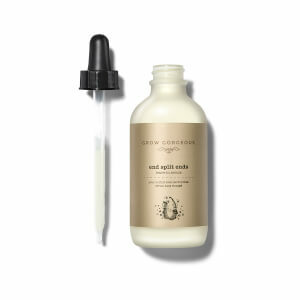 Your scalp will be invigorated and your hair will be left looking big and bouncy. Massage a generous amount into your scalp. Leave on for 10 minutes or more if desired. Rinse thoroughly. 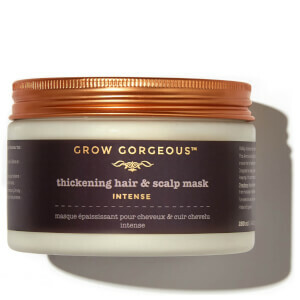 I received this scalp masque in my beauty box this month and I am amazed how much I love it! The cooling tingling sensation was very soothing and made my hair feel so soft and lush. I will definitely be purchasing the full size product. When I first used it I wasn't really convinced of the effect, and actually, because of the fresh sensation in my scalp, I was kinda scared of betting bald. But now I'm completely in love with the result, my hair is like reborn and feels incredibly soft and manageable. I have very curly hair that was getting straight, but just after one use my curls are back and fabulous. I couldn't be happier. Loved using this. Made my scalp feel revitalized and fresh. Hair was soft and voluminous after use. Great mask! The only one indeed which helped with my hairloss. It has immediate effect. The treatment feels lovely on my scalp, but have only used it once, to soon to say how well it works. Holy grail hair mask. Once my hair is dry, it’s never felt so soft in my life. Can’t recommend it enough! Very effective product, very satisfied with it.